Imprint this skinny tumbler and satisfy their thirst quick – 24HR! 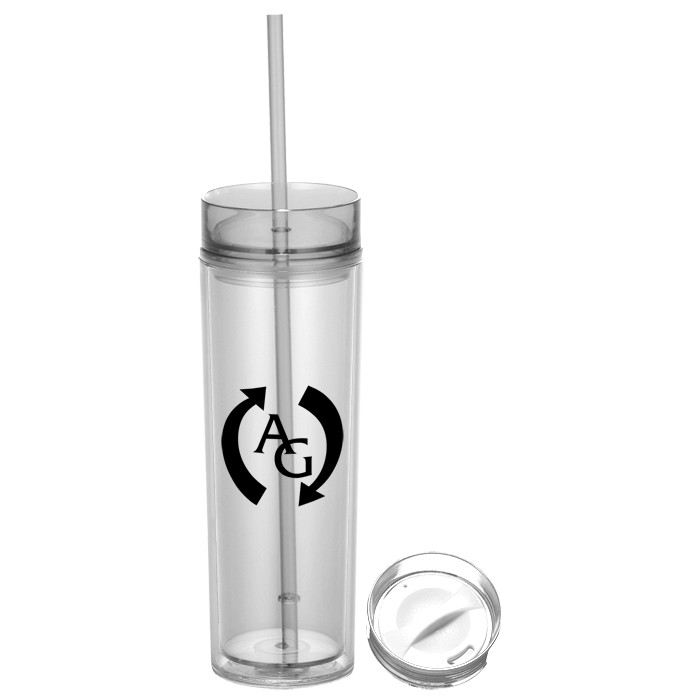 This double-wall acrylic tumbler conveniently keeps your favorite beverage at the perfect temperature—hot or cold! The translucent colored body makes your logo pop while you get an easy peek at what’s inside. 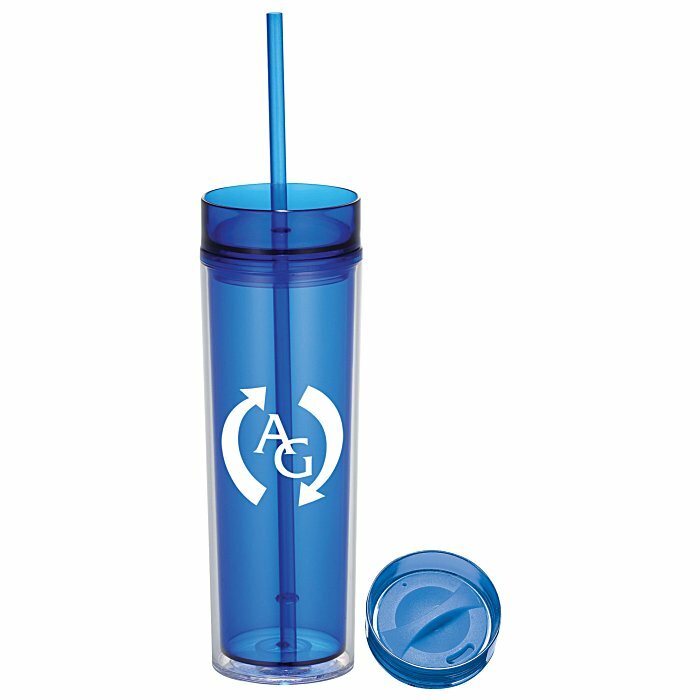 Features a matching-colored, twist-close cover that makes this tumbler ideal for traveling with a hot drink. 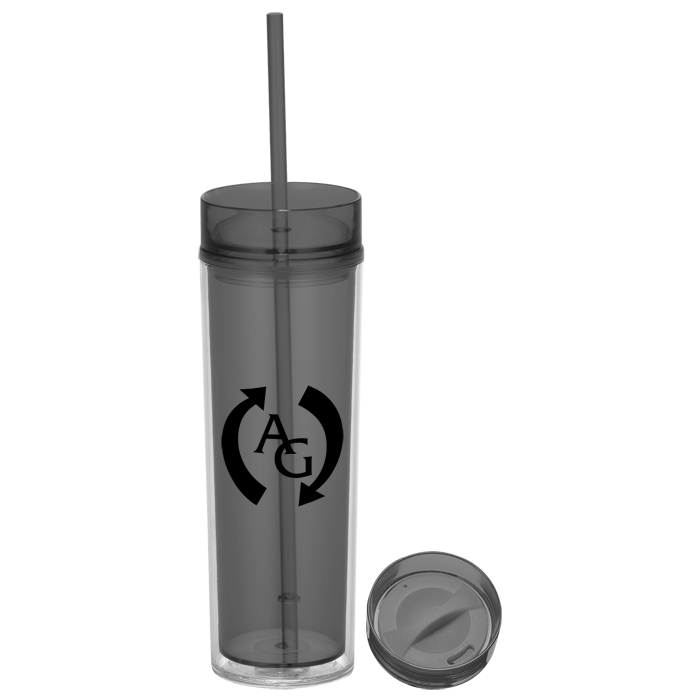 Also includes a second twist-off lid option with a straw which is perfect for cold drinks; both lid options come with the body of this item as standard. Straw is constructed with a gasket so it doesn't slip out of the slot. Your price includes a one color imprint on the front, center of the bottle.